Shopping for Frozen Pop! Vinyl Figures? Your favorite characters from Disney''s hit Frozen movie are now even more adorable! 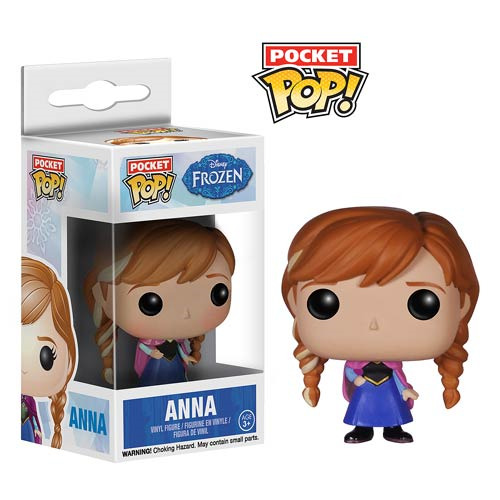 This Disney Frozen Anna Pocket Pop! Vinyl Figure features the princess of Arendelle as a 1 1/2-inch tall stylized vinyl figure. This Frozen Pocket Pop! Vinyl figure is so great that you won''t ever want to let it go! Ages 3 and up.